While it is not a new phenomenon, over the last two years, we have seen a troubling increase in headlines about hate speech or conduct. 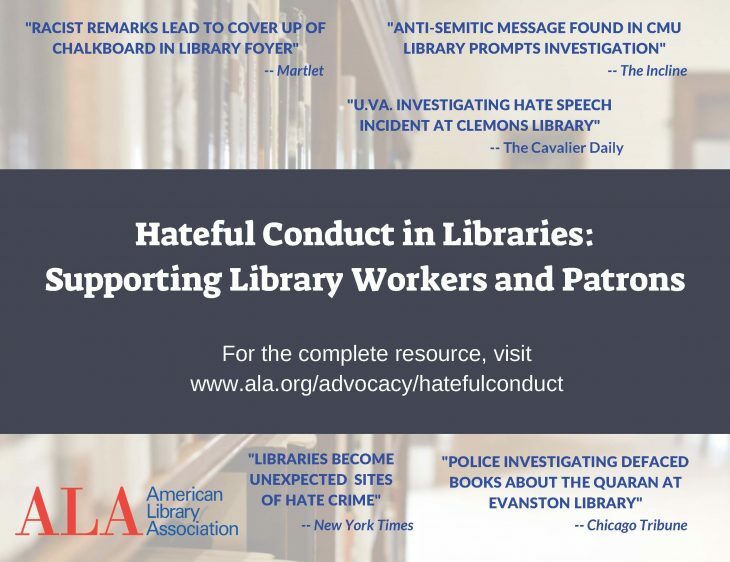 Here’s a helpful resource for preparing and responding to such conduct. 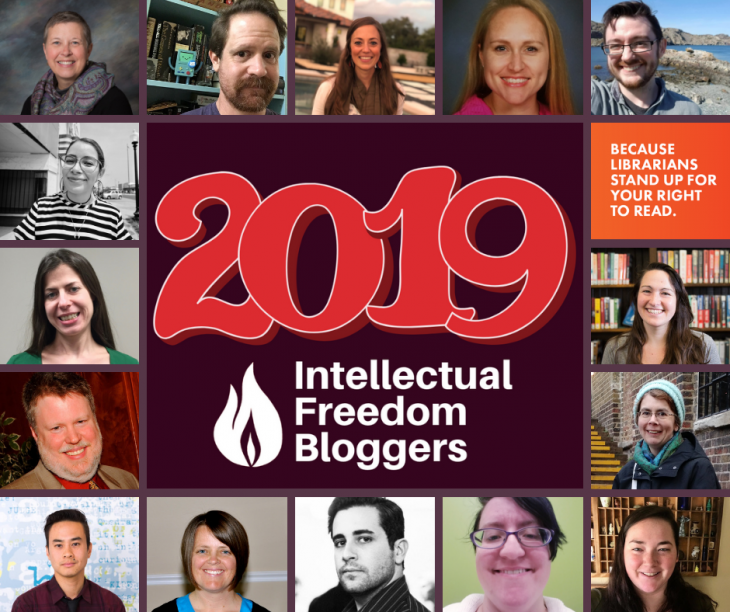 The ALA Office for Intellectual Freedom (OIF) is pleased to introduce ten new bloggers in addition to five strong voices who continue to share thought provoking original content about a core value of the librarian profession. 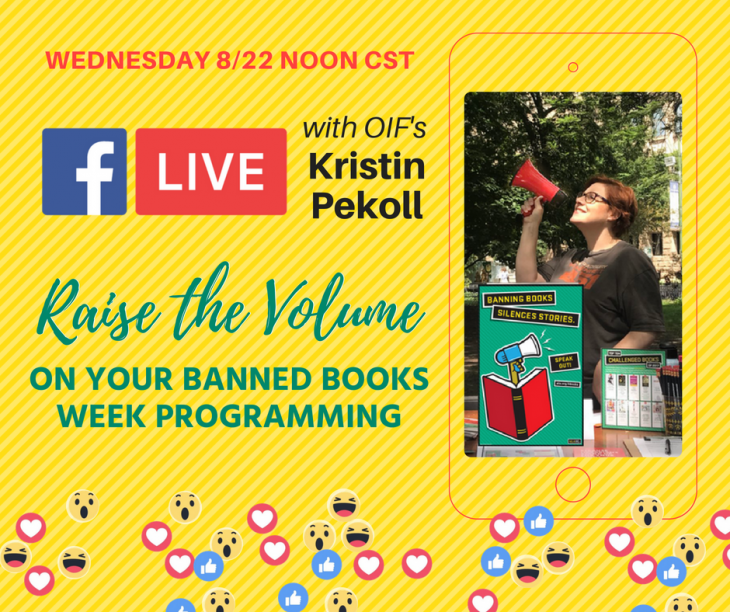 Join ALA’s Office for Intellectual Freedom (OIF) in this engaging Facebook Live event for ideas on how to turn the volume up to 10 on your Banned Books Week programs. 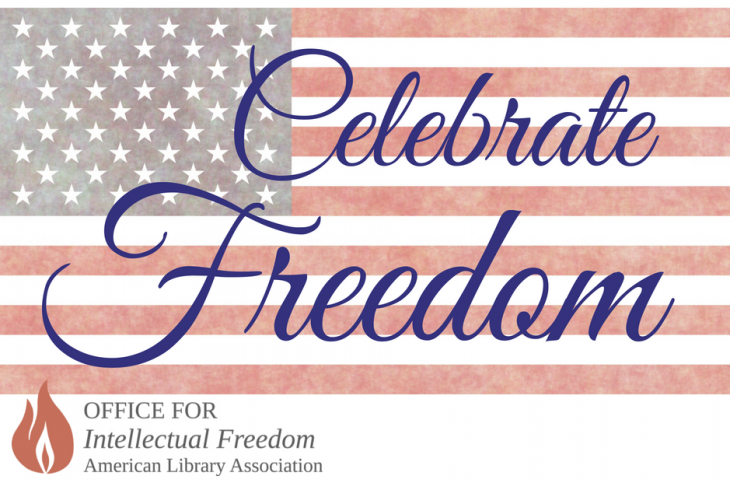 Celebrate thought, Celebrate freedom – today and everyday. 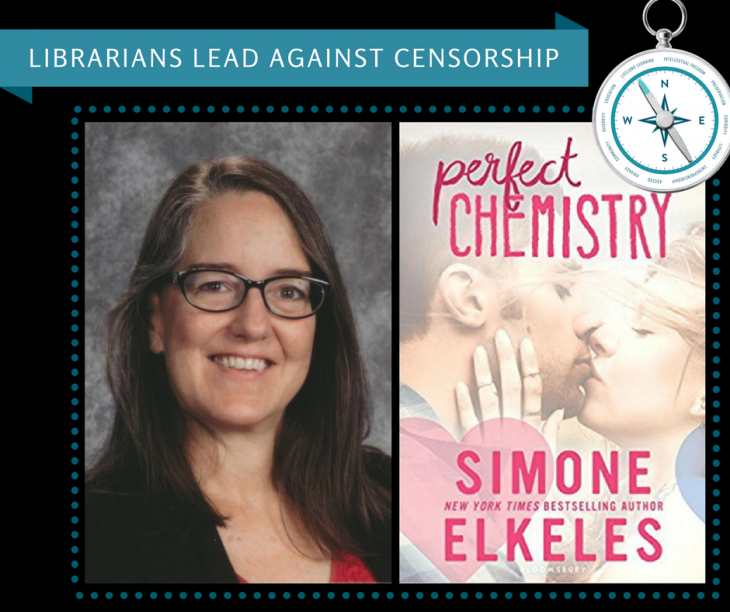 Join the Office for Intellectual Freedom in New Orleans for intellectual freedom and privacy discussions and programs. Don’t hesitate to snag us for any questions! 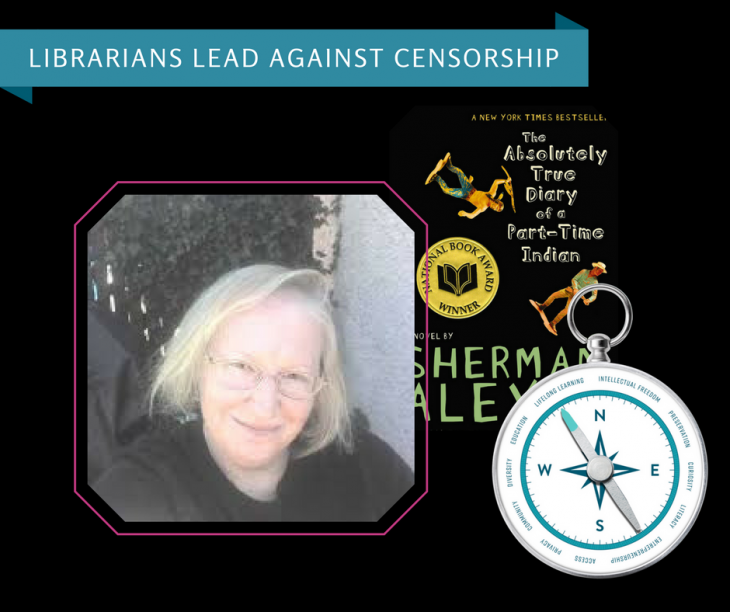 No better time than Women’s History Month to get to know one of the fiercest ladies of library and information science – Judith F. Krug. 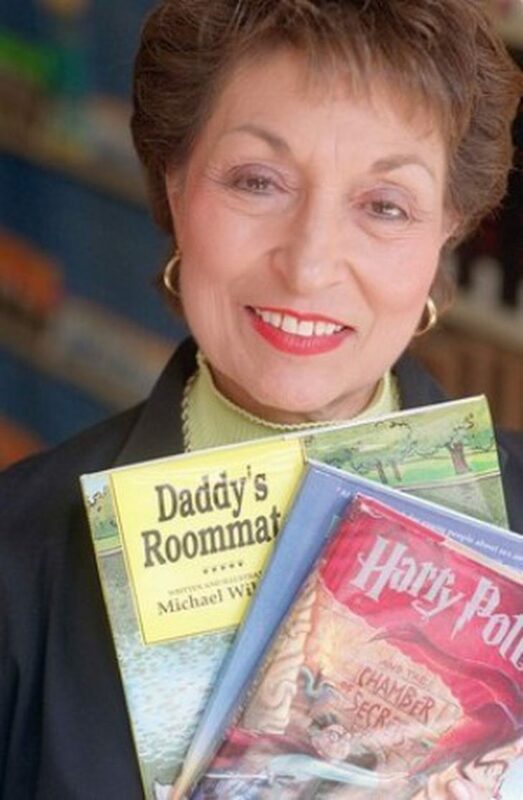 She doesn’t have her own action figure, but she should.